Prepare for the ever adorable Cupig to sing, shuffle and shake his way into your heart. Get yours before he’s gone. This Dawg’s Valentine’s parody of ‘Yakety Yak’ will have your sweetie eating out of your hand. Copyrights 1958 Sony /ATV Music Publishing LLC. 8 Music Square West, Nashville, TN37203. Heat things up with this hot frog! He’ll hop right into your Valentine’s heart! 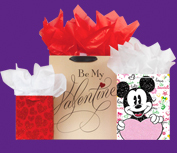 Personalize your heart shaped frames by inserting photos of your loved ones. *Must purchase cards and ‘Hearts A-Hoppin’ Frog or ‘Yakety Smakety Dawg’ or ‘Cupig' in the same transaction. Returns are subject to adjustment. Not valid on past purchases. 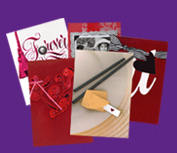 Excludes gift enclosures and packaged and boxed cards. Retailer has the right to limit quantities. All Offers valid until 2/14/14 while supplies last. Taxes not included. *** Must purchase the ‘Ultimate Gift Bear’ and the card in the same transaction. Retailer has the right to limit quantities.